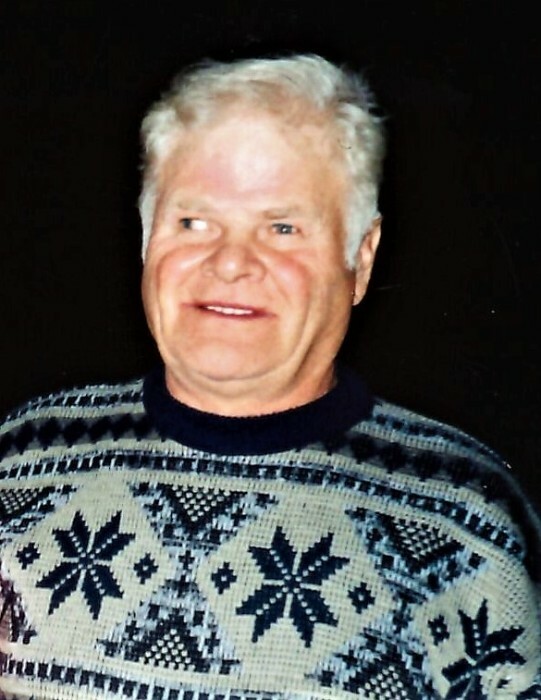 On April 7, 2019 Leonard Gustave Tabler of Wetaskiwin passed away peacefully at the age of 80 years old. Leonard was surrounded by his loving wife Gloria (Ellis) of 52 years; daughters, Roxanne, Vivian, Susan (Ray Krick) and Danielle (Rainer Ilgen) and grandsons Ryley and Skylar Krick at the Centennial Centre in Ponoka. Leonard grew up in the Falun-Usona area, on the Bill Tabler Family farm which he eventually took over and farmed there for many years. Throughout his life Leonard loved to play hockey, baseball, horseshoe, crib and various card games. Leonard was community minded; he was a member of the Falun Community League, helped build the Falun Hall and compiled information for the Free Way West Book as well. Not only did he play hockey and baseball, but he also coached them and enjoyed watching games. Leonard enjoyed good music and if the right song played dancing soon followed. In his later years Leonard took up fishing; he loved the great outdoors especially the mountains. Leonard met Gloria Ellis in early 1966 and they got married on December 16th of the same year. Together they had four daughters. Leonard and Gloria lived together on their farm in Falun until Alzheimer’s made it difficult for him to manage the farm. Leonard and Gloria moved to Wetaskiwin in 2015 and he lived there until his health deteriorated further in 2017. Leonard is survived by his loving wife, Gloria; daughters; grandsons; siblings Lawrence, Eleanor, and Marvin; and numerous friends and extended family. Leonard was predeceased by his parents, Bill and Alma Tabler; father and mother-in-law, Gordon and Eva Ellis; sister-in-law, Lorna; and his niece, Amelia. Leonard was a loving husband, father and pa-pa who enjoyed life to the fullest and will be missed tremendously. A Celebration of Life will be held on Monday, April 15th, 2019 at 2:00pm at the Falun Community Hall. Cremation has taken place and a private interment will be at a later date. In lieu of flowers donations may be made to the Alzheimer’s Society of Alberta, the Alberta Diabetes Foundation or the Waldheim Cemetery Fund.